Former UT Arlington first lady Betty Nedderman died Jan. 12 in Arlington. She was 89. A graduate of Texas Woman’s University, Mrs. Nedderman married longtime UTA President Wendell Nedderman in 1947. She was a member of the First Christian Church of Arlington since 1959 and sang in the church choir for 25 years. She was named a UT Arlington Honorary Distinguished Alumna and remained active in campus organizations promoting education, fine arts, and athletics long after her husband’s retirement in 1992. Influential legislator Robert McFarland died July 23 in Arlington. He was 73. Sen. McFarland earned a BBA degree from UT Arlington in 1963. He served in the Texas House of Representatives from 1977-83 and the Texas Senate from 1983-91. One of the University’s staunchest legislative allies, he helped persuade the Select Committee on Higher Education to include UTA on its list of “emerging national universities” with research emphases in 1987. Following his political career, he was an attorney in Arlington for more than 20 years and a state lobbyist for the city. He was named a UTA Distinguished Alumnus in 1984. Amp W. Miller Jr. (’42 AA, Liberal Arts), 90, June 15 in Dallas. Mr. Miller served as director of the UT Arlington alumni board and was a member of the Alumni Scholarship Committee. Harold Wayne Carminati (’55 AS, General Studies), 79, Sept. 9 in Fort Worth. Mr. Carminati worked many years with American National Life Insurance and John Hancock. He served as eucharistic minister at St. Andrew Catholic Church in Fort Worth for 20 years. Ronald Barry Carrigan (’67 BA, Political Science), 70, Aug. 30 in Grand Rapids, Mich. Mr. Carrigan worked for 28 years in management for the Army and Air Force Exchange Service. He found a second career as the financial director of Peter White Library in Marquette, Mich.
Robert M. Davenport (’67 BS, Biology), 73, Aug. 16 in Colorado Springs, Colo. Mr. Davenport worked for IBM for 25 years as an engineer. Joseph A. Stefan Jr. (’69 BBA, Business Administration), 77, May 30 in Charlotte, N.C. Mr. Stefan was sales manager at AAA Cooper Transportation in Charlotte before retiring in 2013. Everett Wayne Autrey (’73 BS, Criminal Justice), 87, Aug. 2 in Denton. Mr. Autrey started his 41-year career in law enforcement with the Texas Highway Patrol and was police chief in Weatherford for two years, police chief in Denton for 13 years, and police chief at Texas Woman's University for 13 years. He also served as president of the North Texas Police Chiefs Association. David Jefferson Ingram (’73 BA, History), 62, Aug. 2 in Longview. 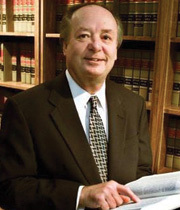 An attorney, Mr. Ingram maintained a private family law practice in Longview. Gary Howard Burgess (’74 BS, Mathematics), 62, July 9 in Dallas. Dr. Burgess served on the faculty of the Emory University School of Medicine in Atlanta, Ga., before returning to Texas in 1998 to practice at Medical City Dallas, St. Paul Hospital, and Dallas Methodist Hospital. He specialized in pediatrics and neonatal medicine. Jean Louise Holderread (’74 BS, Medical Technology; ’92 MBA, Business Administration), 71, Aug. 23 in Fort Worth. Ms. Holderread was a lab technician at Arlington Memorial Hospital for almost 30 years and was lab director at Lake Pointe Emergency Services and Imaging Center in Wylie. James Michael “Mike” Appleby (’76 BM, Music), 64, June 9 in Arlington. Mr. Appleby worked at BAE Systems after retiring from Lockheed Martin and L3 Communications. Hollis Howard Dean (’76 BBA, Business Administration), 90, July 22 in Irving. Mr. Dean worked in the aerospace industry and was an administrator at Vought Aircraft. After retiring from Vought, he volunteered for many years at Baptist Benevolent Ministries of Irving. Diane Mauldin Fitch (’77 BA, English), 64, May 23 in Houston. Ms. Fitch was director of crude oil sales and marketing for Enserch Exploration in Hallettsville. James G. Lavender (’77 BS, Criminal Justice), 60, Aug. 16 in Fort Worth. Mr. Lavender was a loan delivery manager for Sunbelt Savings and worked in mortgage servicing. He also played guitar in several bands in the Dallas-Fort Worth area. Bobby Gilliam (’78 MS, Social Work), 62, Aug. 13 in Waco. Mr. Gilliam spent 37 years helping at-risk, neglected, and abused children. He was president and CEO of the Methodist Children’s Home in Waco from 2003 until his retirement in 2010. Wacoan Magazine named him Wacoan of the Year in 2008. The Coalition for Residential Education named him Administrator of the Year in 2006 and awarded him its Lifetime Achievement Award in 2010. He also was director of operations for Mooseheart Child City and School in Mooseheart, Ill., from 2000-03. Carolyn Ann Crier (’79 BS, Criminal Justice), 61, July 24 in Dallas. Ms. Crier combined a criminal justice career with periodic work in the Dallas restaurant industry and as a licensed real estate agent. She was a natural equestrian and rode in competitive events at the State Fair and area horse shows. Daniel Felix Pickering (’81 MBA, Business Administration), 70, June 1 in Duncanville. Mr. Pickering was chief operating officer of Club Marketing Services in Duncanville. He also served on the board of the Duncanville Education Foundation. Shirley Ann Godbold (’82 BBA, Accounting), 81, Aug. 15 in Fort Worth. Ms. Godbold worked as an accountant for several years and taught English as a second language at Northwood University in Cedar Hill. Melva Jean Hunn (’83 BFA, Art), 89, June 5 in Denison. Ms. Hunn received her bachelor’s degree at age 58. She was a homemaker and a member of the Georgetown Baptist Church in Pottsboro. Diane Kathleen Gude Klikus (’83 BA, Sociology), 54, June 9 in Chesterton, Ind. Ms. Klikus was a guidance counselor at Morgan Township middle and high schools in Valparaiso, Ind. She also served as a drug counselor at Porter-Starke Services, where she conducted group therapy sessions. Terrance H. Borchard (’84 MA, Linguistics), 71, Aug. 10 in Springfield, Ore. Dr. Borchard was a Lutheran missionary and Bible translator to the Ipili people in Papua New Guinea. He worked with speakers of the Ipili language to translate the New Testament and parts of the Old Testament into their language. Deborah Douglas Reilly (’84 BS, Mathematics), 52, July 20 in Chesapeake, Va. Ms. Reilly was a staff accountant with the health care company Amerigroup in Chesapeake. Previously she was a bookkeeper for Pearle Vision in Salisbury, Md. Deborah Sue Knott (’85 BFA, Art), 59, July 26 in Fort Worth. Ms. Knott was a longtime Sears employee before working for the U.S. Postal Service, where she retired after more than 25 years. William S. Shelton (’85 BBA, Systems Analysis), 65, May 31 in Johnson City. Mr. Shelton was chief operating officer and president of the Arbella Service Co., part of the Arbella Insurance Group, in Quincy, Mass., when he retired to his ranch in Johnson City in 2007. James Edward Doyle (’89 BS, Mechanical Engineering), 48, June 28 in Arlington. Mr. Doyle worked at Lockheed Martin for 14 years as a stress analyst on projects including the F-35 Joint Strike Fighter. His Skybolt biplane earned him the Bronze Champion Lindy Trophy at the Experimental Aircraft Association Air Venture Fly-in in 2010. He also won the Lone Star Aerobatic Championships in the sportsman category in 2013. Sandra Swaim Dennehy (’91 BS, Architecture), 60, Oct. 13 in Fort Worth. Ms. Dennehy and her husband, Paul, established Dennehy Architects in Fort Worth. The firm specializes in environmental, civic, ecclesiastical, educational, and residential projects. She was president of the Berry Street Initiative for 17 years and helped revive the long-neglected southside Fort Worth corridor. Jason Howard King (’91 BS, Information Systems), 54, Aug. 9 in Colleyville. Mr. King was an architect for Electronic Transaction Consultants in Richardson. John Lindon Dodge (’92 BA, History), 53, July 29 in Waxahachie. Mr. Dodge tutored students in English and history. Elaine Weide (’93 BA, English), 44, Aug. 22 in Fort Worth. Ms. Weide worked for the Fort Worth Public Library and was a volunteer for hospice, Meals on Wheels, and the library. Dennis Lee Pool (’95 BBA, Accounting), 56, July 17 in Fort Worth. In 1980 Mr. Pool began a long career in technical publications with General Dynamics, now Lockheed Martin. His most recent job was as aircraft maintenance support engineer staff. He helped launch a digital-cataloging system that provided F-16 technical publication customers with digital books and interactive viewing. Deannelle Ann Sheppard (’97 MS, Social Work), 53, Aug. 27 in Bartlesville, Okla. Ms. Sheppard was a licensed clinical social worker at Youth and Family Services of Washington County and the Jane Phillips Medical Center in Bartlesville. Jeannie Hill (’98 MS, Social Work), 61, Aug. 30 in Amarillo. Ms. Hill worked for the state of Texas for 25 years as a foster development and child care worker. Richard Donnell Culbertson (’99 PhD, Humanities), 68, June 2 in Fort Worth. Dr. Culbertson worked as an attorney in the Texas Attorney General’s Office before teaching history at Tarrant County College. 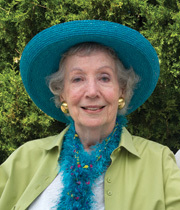 Patricia Ruth O’Connor (’04 BA, Sociology), 79, Aug. 8 in Dallas. Ms. O’Connor worked for several years at Presbyterian Hospital in Chicago before moving to Texas and attending UT Arlington. She was inducted into Alpha Kappa Delta, the International Sociology Honor Society, and later became a member of Mensa. Timothy Paul Sepulvado (’05 BA, History), 51, Aug. 12 in Fort Worth. Mr. Sepulvado taught American and Texas history at private schools in Fort Worth. David Young Rivera (’12 BBA, Management), 32, Aug. 24 in Fort Worth. Mr. Rivera was an operations manager in Fort Worth for the Target Corp.
Subrina “BeBe” Knight (’13 BSN, Nursing), 44, July 12 in Dallas. Ms. Knight worked for the Ennis Independent School District as a physical education aide, special education aide, and bus driver. She worked for the Ennis Regional Medical Center for more than 13 years as a restorative nursing assistant and a licensed vocational nurse. Myra “Polly” Virginia Groce Ballweg, 100, Oct. 15 in Mansfield. Ms. Ballweg worked in the UTA Bookstore from 1962 until her retirement in 1979. Noel Everard, 90, Sept. 13, in Arlington. Dr. Everard was a professor in the Department of Civil Engineering from its inception until his retirement in 1989. He served as chair for 15 years. Bernice Franks, 81, Aug. 5 in Arlington. Ms. Franks retired in 1996 as senior administrative clerk in the Office of University Housing. She spent 16 years at the University and received the Outstanding Employee Award in 1989. She was a member of the Retirees Club and was inducted into the Retirees Roll of Honor in 2013. Homer Kerr, 92, in Arlington. A professor emeritus, Dr. Kerr taught American history at UT Arlington from 1957-89. Evelyn James “Eve” Mills, 85, July 2 in Arlington. Ms. Mills retired after 25 years as an administrative assistant with the Office of News and Information. Michael Dennis Saleebey, 77, July 1 in Lawrence, Kan. Dr. Saleebey was a social work professor at UT Arlington from 1970-87 and taught at the University of Kansas from 1987 until his retirement in 2006. Jackie C. Wyatt, 78, Oct. 6 in Arlington. Ms. Wyatt was director in the Office of Sponsored Projects from 1995-2002.